Dogs can get stressed when they’re left at home alone. So experts recommend leaving the radio on to keep them company. The problem is, it’s radio for humans. 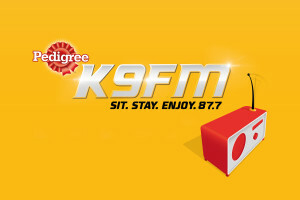 So, PEDIGREE launched K9FM, a radio station just for dogs featuring hours of original content, all day, every day on 87.7FM.